How do you believe in God when you haven't seen him? If you believe in God without seeing him then probably the ghosts also exist the same way? Well, aren't these conversations familiar to you? A discussion on some strange events or stories always lead to such arguments. It may be thrilling for a few and uninteresting for many but we can't stop talking about the spine-chilling mystery. The story of Kundanbagh Haunted House in Hyderabad created quite a sensation in the year 2002. Even to this day, it is considered as one of the top haunted places in the city of Nizams - Hyderabad. Today, the entry into Kundanbagh House is prohibited. However, the road is used by everyone and you can see the garbage trucks parked just outside the gate. At evenings the street looks deserted and goofy. 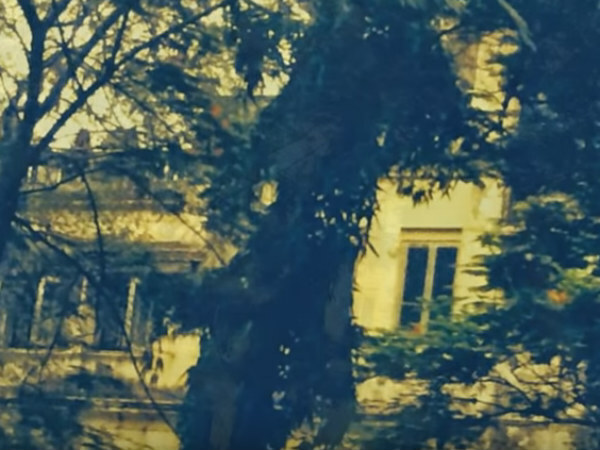 Want to Know the Unsolved Mystery of Kundanbagh Haunted House? A family of 4 (a mother, father and two daughters) lived in thehouse of Kundanbagh colony. It is told that, one day the father left the house and never returned. Nobody knows anything about him ever since then. According to some neighbours, the mother and the daughters were too weird. The daughters used to play outside the house with a blood filled bottle. . The neighbours also used to hear some weird sounds from inside the house. Apparently, one day a thief barged into the house and saw three dead bodies. When he got nabbed by the police, he revealed about the three dead bodies in the house. Interestingly, the post-mortem report said that they have been dead for almost 6 months then. So, the neighbours began to wonder about the girls and the songs which the lady sang in glory.. It became a big news in 2002 and later the house was locked. Now Kundanbagh House is a deserted property with no electricity supply. Then how come a light is seen on the first floor every night? Well, no one knows that and no one is allowed inside. Similar to many haunted places, the story of Kundanbagh haunted house is a much debated one. Some firmly say that the story was created to stop other people from buying it. Many say that it is haunted and they have had some strange experiences. One resident of a nearby locality said that he and his friend met with an accident in front of the Kundanbagh House gate. He said it was weird that his bike's headlight switched off as soon as he entered that lane. His friend who happen to come from the opposite side came and crashed into him because even his bike's headlight got switched off as he came near. These versions of stories have not stopped people from getting a sneak-peek into the property. Now even police patrol the area and nabs anyone who tries to enter the gate or create a nuisance. Whatever it is, we really don't know whether it is a property dispute or a really haunted mansion. However, it is true that some have experienced peculiar instances around this house. Even the Kundanbagh House road looks spooky if you happen to pass through in the evenings. A constant silence, overgrown trees, a big gate and a dimly lit street light makes it seem mysterious. Kundanbagh Estate has remained as an unsolved mystery even to this day. The deserted house creates a lot of curiosity among people. Hence it is considered as one of the top haunted destinations in India.